A Year’s Worth of Crockpot Freezer Meal Plans…for Free! 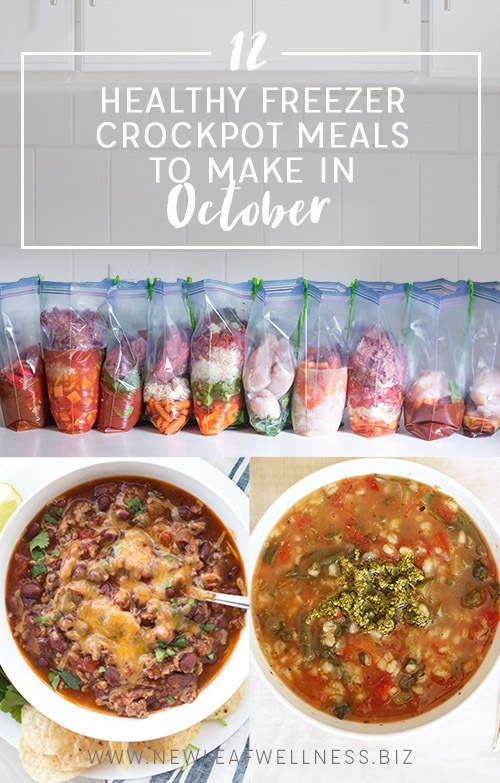 Are you a fan of crockpot freezer meals? This is your lucky day. I kept track of all of our favorite recipes from last year and arranged them into calendars for 2018 to create the ultimate meal planning post. Below, you’ll find all of my printable recipes, shopping lists, and monthly meal planning calendars FOR FREE. Enjoy, Friends! Are you looking for new recipes to try this month? I’ve got you covered. I came up with a list of 12 crockpot recipes that are super easy to throw together in the morning. If you’re motivated, you can even prep and freeze all of them this weekend (full shopping list below!). We use our crockpot all year long, so I decided to get started on meal ideas for July. I’m a bit of an organization freak, so I went ahead and compiled the recipes and full shopping list in a pdf file and shared it below. I even went ahead and created a calendar so I know exactly when to cook each one. Now I can spend the month at the pool with my kids and not stress over what’s for dinner!